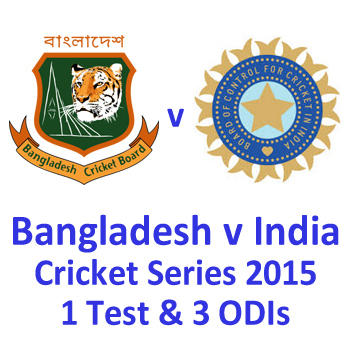 Bangladesh v India 2015 Test & ODI matches prediction, betting tips and preview. Mustafizur Rahman, the one man army of the Bengal Tigers, demolished the Indian batting line-up in the successive ODI as the hosts take 2-0 lead in the series. Bangladesh humiliated the mighty Indians in the 1st One Day International of the three match series and anticipates clinching it when they meet in the next one. The only Test between Bangladesh and India concluded as a draw and both teams will head towards 3 One Day Internationals which will generate a lot of interest. Team India has landed in Bangladesh where they will take part in one Test, three ODIs and the visitors will try to maintain their unbeaten record in Tests.